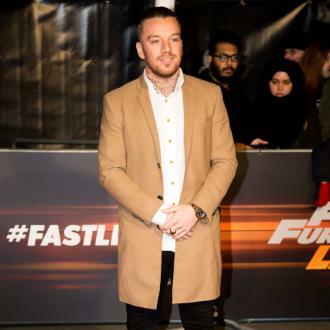 Jamie O'Hara underwent liposuction to improve his self-esteem even though he didn't think he was ''fat''. Jamie O'Hara underwent liposuction to improve his self-esteem. The 31-year-old footballer recently flew to Turkey to have three litres of fat removed from his stomach and inner thighs, and though he never felt like he was hugely overweight, he admitted jibes about his size had affected his confidence. He said: ''You laugh it off, but deep down it was getting to me a bit. Jamie piled on the pounds in the 'Celebrity Big Brother' house in 2017 and struggled to lose weight afterwards because his lifestyle had changed from playing top-flight football to juggling games with non-league Billericay Town and nightclub personal appearances. He explained on UK TV show 'Loose Women': ''In 'Big Brother' we were eating all the time and it got to me, when I saw pictures I thought, 'terrible'. Jamie previously sought therapy when he split from wife Danielle Lloyd - the mother of his sons Archie, seven, Harry, six, and four-year-old George - and he thinks it is something he should look into again. He said: ''I used to see a counsellor so when I went through a divorce I went through a real bad time with depression and anxiety, so that really helped. ''I was a massive overthinker and that's why I worried I was wasting talent, washed up footballer, and it got to me.